PINUP GIRL CLOTHING TAKES NYFW! You heard right! 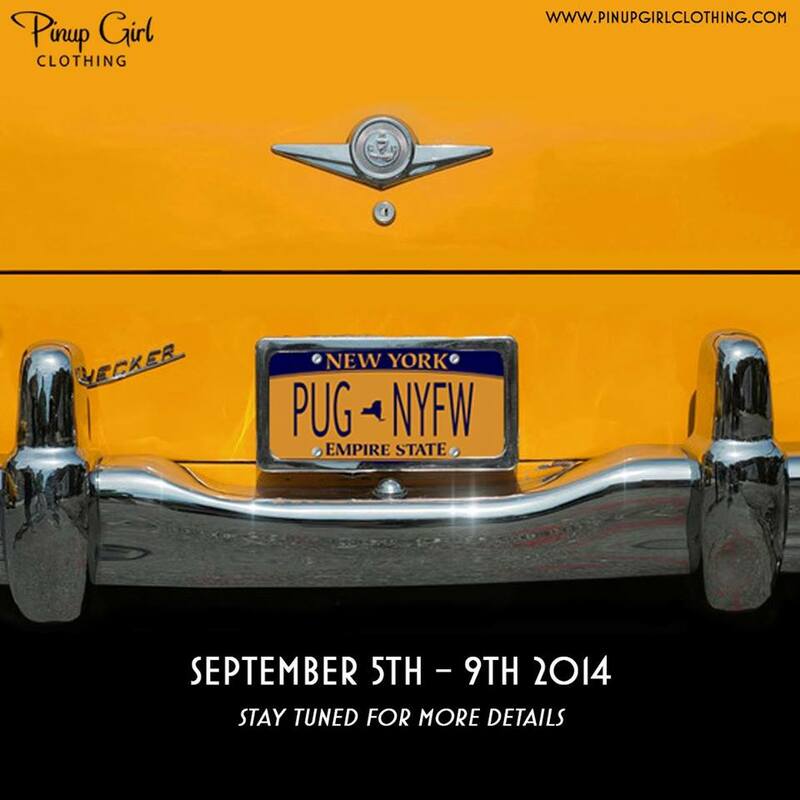 Pinup Girl Clothing is coming to New York for NYFW and we have some awesome events in store for you east coasters! This is your chance to meet the CEO of PUG, Laura Byrnes, and production manager and Jill of all trades Micheline Pitt! And as many of you may know, I am the Executive buyer for the website so I will also be in attendance as well visiting my hometown to share an awesome NYFW with YOU! So if you want to have a fantastic time during NYFW, join Team PUG as we host several meet ups during NY Fashion Week from September 5th – 9th. 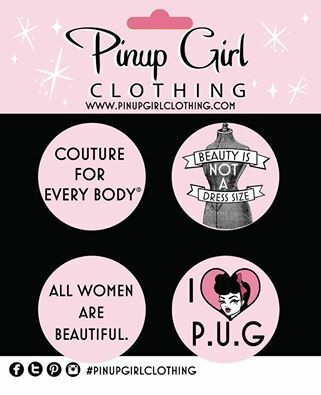 This is your chance to wear your favorite Pinup Girl Clothing items and spread the body positive word at the same time while meeting members of Team PUG and partaking in prizes and other goodies. In addition to declaring “Couture for Every Body”, Team PUG members will be handing out gift cards and prizes to attendees at each event while supplies last. 10 Lincoln Center Plaza, New York, NY 10023 from 2:00 pm – 3:30 pm, followed by food at Viand Cafe 2130 Broadway #1, New York, NY 10023. 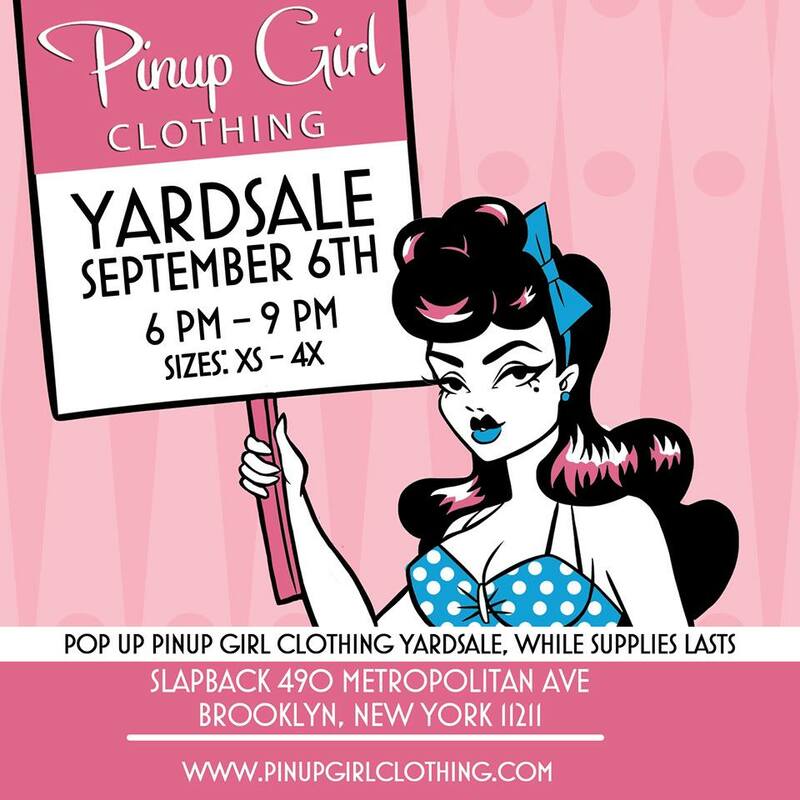 Join us from 6 – 9 pm for a POP UP YARDSALE! 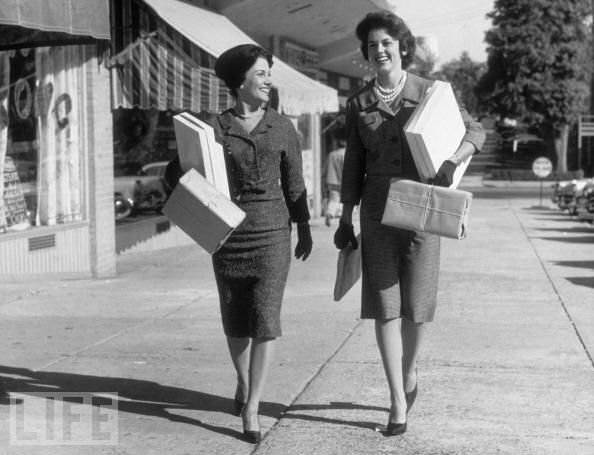 That is right, score the same deals that all of our California girls do, while supplies lasts. We will also have a styling guide with Laura Byrnes featuring her famed LB trousers and a Brow Demo by Micheline Pitt featuring Brett Brow products. Then head to The High Line in Chelsea to catch the sunset at the High Line in Chelsea. Follow us on Instagram at @pinupgirlclothing and on Twitter @teampinup and our hashtag #coutureforeverybody to keep up with us on the day of the event. ← My 1st Retro Style & Beauty class at Amberjoy’s Vintage Closet!